It’s not just seasoned yogis that escape to yoga retreats in Mexico for their annual vacation. The country’s year-round good weather, stunning beauty, and natural spirituality give it a magnet pull for anyone interested in a healthy getaway. There are plenty of Mexican yoga retreats offering a spot to practice your tree pose but, as Mexican travel experts, we’ve found the very finest. Here are our hot tips on the best Mexican retreats for yoga enthusiasts. A sprawling estate in the hamlet of Atotonilco, near San Miguel de Allende, Hacienda Cielo is a decedent getaway with beautiful architectural influences from Morocco. 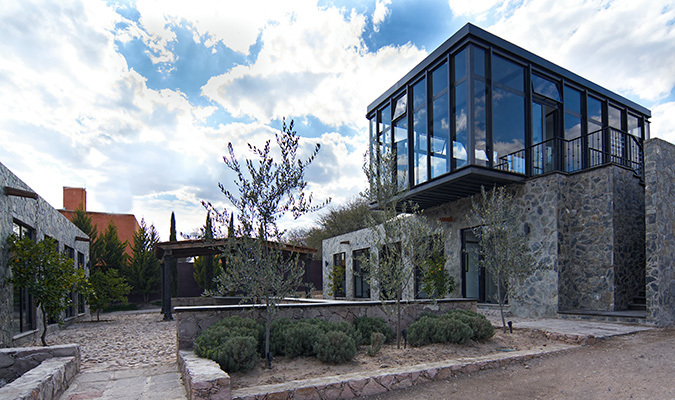 Large enough to sleep 18 people, this Guanajuato resort has plenty of luxury amenities, particularly for health and fitness enthusiasts. Yoga enthusiasts can head to the architecturally-stunning glass spa pavilion, which houses a yoga and massage area. A large swimming pool, air-conditioned gym, and tennis courts are a great place to work out, while a gorgeous lavender field and olive tree grove offer a chance to stretch your legs. A breath-taking villa overlooking the Pacific Ocean, Casa Majani is a fitness lover’s dream. Based on the northernmost tip of the ultra-exclusive Punta Mita community, privileged guests gain access to the development’s world-class golf, tennis, and gym facilities. Yoga-enthusiasts can organize a private in-house lesson which can take place in the villa’s Tucari yoga sanctuary. Created from natural materials, this dedicated room comes with large windows offering tranquil views over the villa’s beautiful pools and gardens. If guests would like to venture outside of their getaway, Punta Mita also offers a variety of yoga classes for a full range of abilities. Of course, you can’t practice yoga all the time. Casa Majani also comes with two ocean-view pools, plus a surfboard bar and an outdoor fire pit for when it’s time to unwind. Staff, including chefs, concierge, butler, and housekeeping, mean everything is taken care of for you. A Puerto Vallarta villa just nine miles from the buzzing downtown area, Villa Mandarinas is a luxury private rental offering seclusion and peace. Those looking to practice their yoga can head to the dedicated yoga shala — the ideal spot to hone your art while taking in awe-inspiring views of the Pacific Ocean. The open-air, palapa-like structure welcomes in the cool ocean breeze and refreshing scents of the natural environment around it, making it a spiritually and physically re-energizing place to exercise. Health and well-being vacationers should take advantage of the luxury villa’s in-house chef who can craft a personal meal plan to help you meet your health goals. All dietary needs and allergies can be taken into consideration. When it’s time to cool off, dip into one of two pools or relax by the pool-side loungers. In-house spa offerings are a great way to unwind. One of the world’s finest health and well-being getaways, Merida’s Chablé Resort is an incredible choice for a revitalizing vacation. 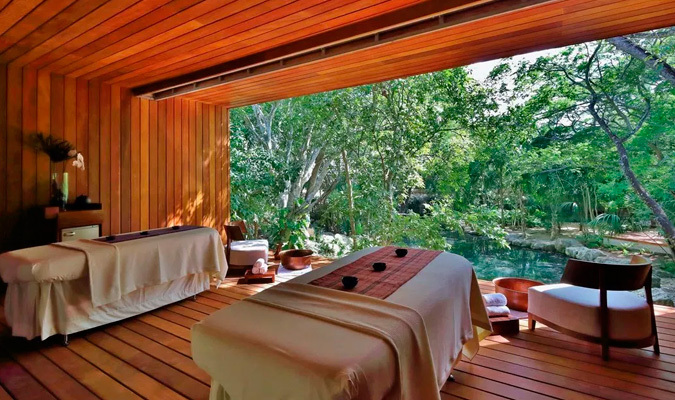 Its on-site natural cenote has become the focus of its well-being offerings, providing a peaceful and spiritual setting for its world-class spa. Ancient healing rituals such as its temazcal ceremonies combine with modern luxuries such as a floatation room to provide the ultimate healthy Mexican getaway. Of course, as a world-beating wellness retreat, Chablé Resort in Merida also boasts an outdoor wooden deck for yoga and meditation. In the mornings, guests can head to the cenote for an energy-boosting yoga session — the perfect start to your day. Opt to stay at either the Chablé Presidential or The Royal Villa which come with access to the resort’s unbeatable wellness facilities but offer the privacy one would expect from a villa vacation. Villa La Semilla is a vacation villa rental with unsurpassed natural beauty. 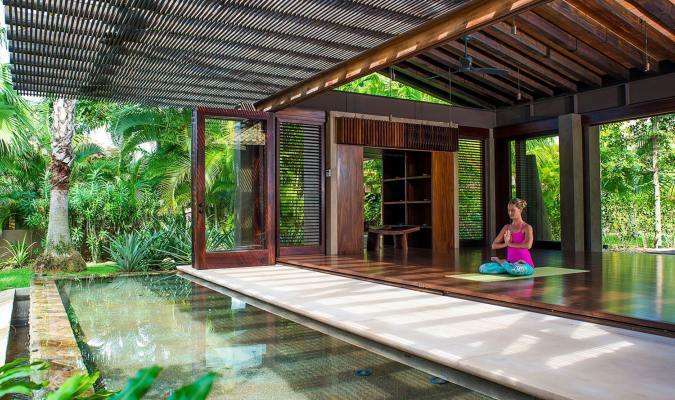 Those looking for the ultimate Mexican yoga retreat will be delighted with this Riviera Maya rental’s gorgeous location, nestled in between lush jungle and the crystal-clear Caribbean Sea. Just speak to the highly-professional concierge to arrange a private yoga lesson, perhaps on the white-sand beach as the sun starts to set. Away from yoga, the villa’s gorgeous terrace with stunning vistas over a private beach is the perfect place to unwind, while the long infinity pool, flanked by palm trees and lounge chairs, is the spot to gather the family and enjoy an unforgettable vacation. For an adventure further afield, simply pick-up one of the villa’s kayaks or bicycles and explore the stunning natural surroundings. 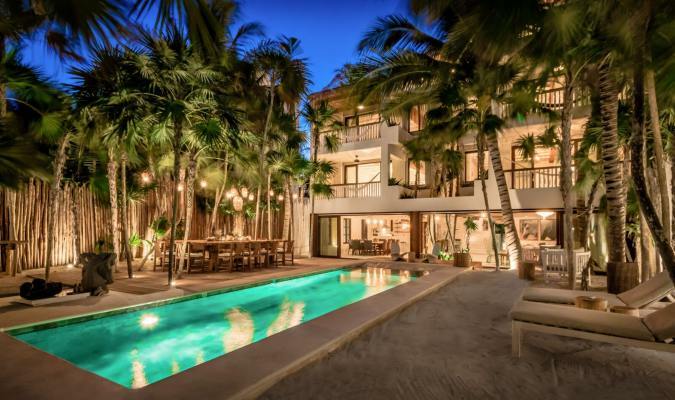 A world-class luxury resort with elegant private residences, Rosewood Mayakoba, is an attractive option for those who want resort amenities but with the solitude of a vacation villa. These unsurpassable private rentals include large outdoor living and pool areas plus fully-equipped kitchens, dining rooms, and media lounges. A private butler service takes comfort to the next level. When it’s time to stretch away aches and pains, yoga enthusiasts can take advantage of Rosewood Mayakoba’s regular lessons at its hi-tech fitness center. Other healthy amenities include a pool, sauna, and state-of-the-art gym. A full day of relaxing can be found at the Rosewood Spa, Sense. 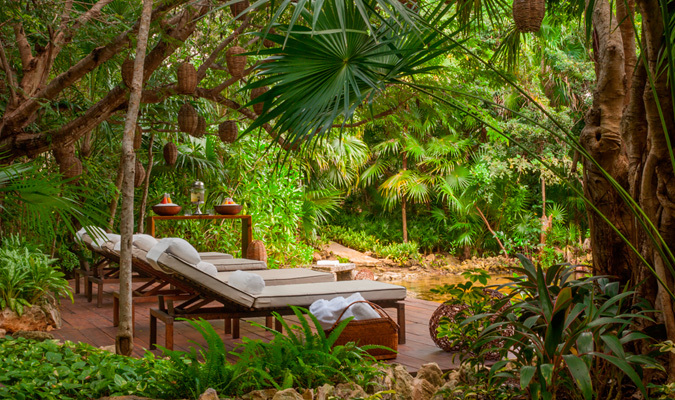 Here you’ll find ancient Maya healing practices mixed with modern day therapies for a truly unforgettable spa experience. We won’t be able to help you improve your yoga poses, but as Mexico’s top luxury travel experts, we can help you plan the ultimate yoga getaway in Mexico. Speak to one of our travel experts today or fill out our Trip Planner to start planning your dream vacation.